When the weather becomes treacherous, your first defense against the elements is a solid roof. When your roof starts to look shabby, it’s a clear indication that your roof has felt the influence of harsh weather over time. This is why the experts in Tulsa, OK recommend roof repair and maintenance after a particular time. Water is one of the most influential causes of aging on your roof and leaves uneven stains that threaten to jeopardize your security and wallet if untreated. When finding a solution for your roof, consider the color of the water and extent of the damage. The stains of black or green water on your roof shows growing organisms like moss or algae. The presence of constant humidity and sunlight provides such lifeforms with a beautiful and cozy environment. They may trap water so it can seep into your house or invite bigger animals and pests. The problem could be sprayed or scrubbed, but doing this could cause further damage. Yellowish or white stains on your roof suggests that the air conditioning or evaporative cooler has accumulated hard water. Such staining often occurs underneath the cooling units on the lower areas of the roof and hangs out. Similar to algae, it is likely that trying to scrub or wash them will worsen things. Moreover, it is possible to reduce the damage using a vinegar solution, to safely dull mild stains without risk. Without proper care, the stain can be too stubborn to be removed. You might think a small stain may not be worthy of repair, but the sign of leakage is a water stain. The leak may be at the point where it bursts, and you will not know how long it takes until the source of moisture is found. Where the stain is, the leak may not be. Water could go down the pipes and drip away from the leak on the ceiling. It could be costly to find the leak, as you may need to cut several hole areas to inspect and buy instruments for a more in-depth inspection. 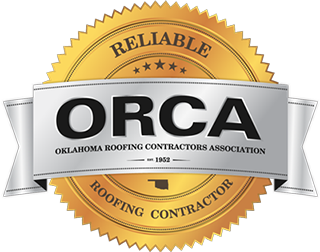 It is better to call a roofing contractor in Tulsa OK.
Was that just an hour after you used a shower? The night before, had there been a big rain storm? Are any faucets acting up? Seeing what happens helps to determine where the water source is from. You might have trouble with your gutters or roof if the stain occurred after a significant storm. Otherwise, maybe a seal failed in your bathroom or shower. What's the nearest area to the leak? Is there a bathroom above on top of the roof? Perhaps you have an old slowly leaking air conditioner. Another common cause of leaks is equipment such as dishwashers and refrigerators with a direct water line. Do you know the water comes from? Take a look at the leak flow. Determine whether a trail drips from above or a trail leads to a different source of potential. Wiping away water can help to detect a slow leak or a consistent leak and which might require urgent roof repair. What's the color of the water? It probably comes from a fresh water source such as a pipe if the drop of water is clear and does not smell. It could come from the rooftop or a drain when the water is dirty. Hire a qualified roofing contractor in Tulsa, OK to prevent leaks with regular roof maintenance. To identify the severity of the leak and fix it, call a professional roofing contractor in Tulsa OK. You should do an initial inquiry and to determine what caused the leak and the way of prevention. You should ensure that your roofing professionals address the root cause of the leak. Elliott Roofing serves Tulsa, Oklahoma. Consult with our professionals and save your roof from costly damage. Older PostSigns of Roof Damage – When Should You Replace It?